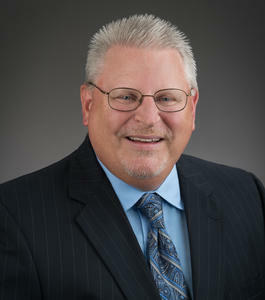 Mark is a manager with Sutton Frost Cary, LLP and has over 27 years of public accounting experience and over 7 years of private sector experience. He has extensive experience in both tax and audit / attestation services. His industry experience includes construction, nonprofit organizations, investment services, manufacturing, and employee benefit plans. His experience also includes preparation of income tax returns for individuals, corporations and partnerships. Mark graduated from Frostburg State University in Maryland with a Bachelor of Science Degree in Accounting in 1985. He is a member of the American Institute of Certified Public Accountants and the Texas Society of Certified Public Accountants. Mark has been an active volunteer with Make-A-Wish® North Texas on the Wish Night Committee for over 17 years, and served as Ball Chair of the event with his wife, Marti, in 2014. He enjoys playing golf and spending time with his wife and son, Jacob, who recently graduated from Texas Tech University in Lubbock with a degree in Sports Management.